According to the Ministry of Agriculture of the People’s Republic of China (MOA), domestic-made seeds in China have surpassed the foreign competition in market share for the first time. To increase the amount of domestically-produced seeds in the agriculture has been a major goal of the authorities and the Party to enhance China’s sufficiently in food and feed production. China is trying as much as they can to achieve food-security, as a collapse in global food trade would mean the death of millions of Chinese citizens. After all, every country tries to protect themselves from food shortages. Of all 4,316 seed enterprises in China, 3,390 of them sell self-developed seeds, with 84% of them selling seeds of major crops. Overseas companies are still dominating the non-major crops seeds. China imported USD0.30 billion seeds in 2016, 61% of which were vegetable seeds. China's planting area of broccoli was 0.05 million ha, 0.20% of the total growing area of vegetables. However, broccoli seeds grown in these fields were all imported from overseas market, reaching a market value of USD30.08 million. Domestic vegetable varieties are regaining market share, increasing from 54 percent in 2010 to 65 percent today. Still, he admits, foreign varieties enjoy a strong advantage and dominate 70 to 90 percent market share in certain crop categories including spinach, broccoli, carrots, peppers, red cherry tomatoes, and eggplants. Looking at the market share of corn seed in China, domestic companies have gained 5% market share from 2012 to 2017. Among those, the seed market share of fresh corn has skyrocketed in the past years, gaining a share from Chinese enterprises to 80%, up from merely 10% before. China is in general still sceptical towards genetical-modified (GM) crops, especially when it comes to crops for human or animal nutrition. However, for GM crops not used for food or feed like cotton, Chinese firms have significantly sped up in the past and drive the foreign competition out of the market, leaving less than 5% market share for overseas products. The total market shares taken by overseas vegetables have also decreased from around 20% in 2012 to 13% as of 2017. Largely demanded vegetables like tomatoes and napa cabbages are now basically home-developed varieties and are grown in extensive scale. In the past decades, China’s seeds industry has been growing at a very fast pace and is likely to continue so in the future. The middle kingdom is currently the second largest seed market in the world, right after the USA. The annual planting amount of seeds is accounted for 12.5 million tonnes, granting a market value of USD17.2 billion. China has achieved great success in the promotion of reform and innovation in the seed industry. In 2016, China’s seed market reached a value of more than USD18 billion, continuing the growths it overgone in previous years. However, when looking at the crop growths in more detail, it shows that market value of non-major crops is growing faster than the major crops in the country. Major crops cover corn, rice, wheat, soybean, and cotton. Last year, the market share of major crops in China has reached 56%, while non-major crops have caught up to 44%. China’s seed market used to be full of small and unqualified companies in the past. Authorities in the country took actions against the uncoordinated market and promoted modernization. This included actions to improve the legal system, upgrade the protection of newly developed seed specifications, and R&D enhancement. 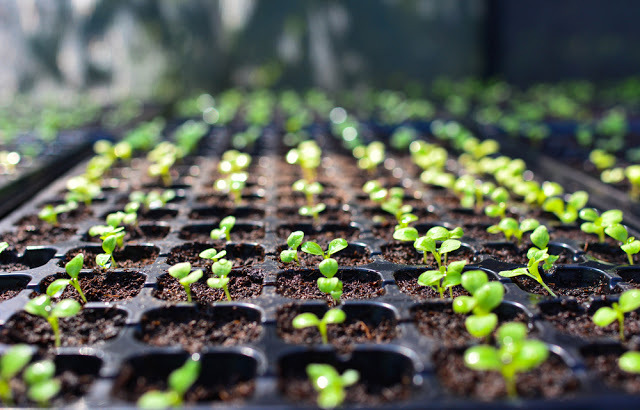 As a result of the efforts, the number of China’s seed companies has shrunk to half the number of 2011 and the market concentration has increased significantly. Another progress has been made in the investment into research and development of Chinese producers, with expenses for R&D reached up to 7% of sales. Finally, the industry has become much more attractive as an employer for domestic and international high-qualified researchers and workers, leading to more innovation and a growing focus on product enhancement. Do you want to find out more about the seed market in China? 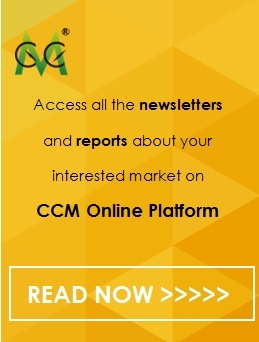 Try our Newsletters and Industrial Reports or join our professional online platform today and get insights into Reports, Newsletter, and Market Data at one place.